Will a throttle response controller enhance my car's performance? Will A Throttle Response Controller Enhance My Car’s Performance? Do you frequently display your custom or classic vehicle at car shows? Do you have sponsors who expect you to display it at multiple events? Now you can create and maintain your vehicle’s display history map on the CHARIOTZ App. The world of automobiles is constantly changing due to advancements in technology, paving the way for mechanical control systems to be replaced by electronic systems. This can have a profound impact on the precision and response times of the vehicle, especially in the case of a drive-by-wire system, also known as electronic throttle control. An electronic throttle control system completely eliminates many of the conventional mechanical components that are prevalent in more traditional throttle control systems. In a traditional mechanical accelerator pedal system, there is a cable that is attached to both the throttle body and the pedal. As soon as your foot presses down on the pedal, the cable is pulled and it opens the throttle plate, increasing the amount of airflow to the engine, therefore increasing the engine’s RPM. On the other hand, an electronic throttle controller completely replaces that cable with a series of performance chips, electric actuators, and extremely accurate sensors. The system works by using a pair of sensors connected to the accelerator pedal to accurately measure the exact position of the pedal. These sensors then relay that information to the automobile’s computer system. After receiving this information, the computer sends a set of commands to the throttle control motor. These commands send instructions to adjust the throttle valve, either by opening it to increase RPM, or closing it to decrease RPM. This means that your vehicle’s throttle control will be far more precise than if it was using more traditional mechanical throttle control systems. In theory, an electronic throttle controller sounds like an amazing alternative to a traditional mechanical throttle control system. However, electronic throttle control systems are not without problems. The most serious of these problems is response time. When using an electronic throttle control, throttle response time is considerably slower than it would be with mechanical throttle control. This can drastically increase the amount of time it takes for your vehicle to reach full power output, making your vehicle feel more sluggish, or seem less powerful, as well as slowing its rate of acceleration. This can be a problem if your car’s acceleration rate is already slower than you would like. If you are always trying to push your car to the limits and love cars with fast acceleration, a slow response time can be a significant source of frustration, as it drastically increases your car’s acceleration time, making the entire car feel more sluggish. Luckily, there is a solution to this problem. Anyone who loves cars can attest to the fact that a car with fast acceleration is a lot more fun than a car that feels sluggish and unresponsive. This is a huge problem in almost any drive-by-wire car, due to the electronic throttle control system. But there is a solution to this problem, and it is called a throttle response controller. Built to decrease response time, and increase your car’s acceleration speed, a throttle response enhancer will give any drive-by-wire car a noticeable improvement in response time. The throttle response enhancer is built to cut response time by completely bypassing a large portion of the traditional electronic throttle control system. Instead, it uses its own control circuits to quickly gather the pedal’s position data, compile it with extreme speed, and send it directly to the computer, thus bypassing multiple extremely slow checks, and improving response time. By completely bypassing the slowest parts of the process, and sending the compiled data directly to the engine computer, your car’s responsiveness will be noticeably improved. In addition to improving response time, the controller will offer a multitude of programming options to further optimize your vehicle’s throttle control. While faster response times and a higher rate of acceleration is always a good thing, safety is still a major concern. After all, if there is any danger of your car accelerating out of control, it may not be worth the risk. Luckily, the throttle response controller is designed to be as safe as possible, allowing your vehicle’s internal failsafe systems to automatically detect any problems. Your vehicle’s computer can then override the system to prevent over-acceleration, giving you just as much safety as a normal drive-by-wire system, but with a noticeably faster response time, and a higher rate of acceleration. If you are tired of slow response times and a slow acceleration rate with your drive-by-wire car, then there is a solution for you. It can noticeably improve the rate of acceleration, and response time of many cars with electronic throttle control, making them feel significantly less sluggish. This is done by completely bypassing a significant portion of the car’s computer system, and doing the necessary calculations using a custom processor. And then simply sending the compiled result to the computer so it can be turned into acceleration. A throttle response enhancer may be exactly what your drive-by-wire car needs to get itself into the fast lane. 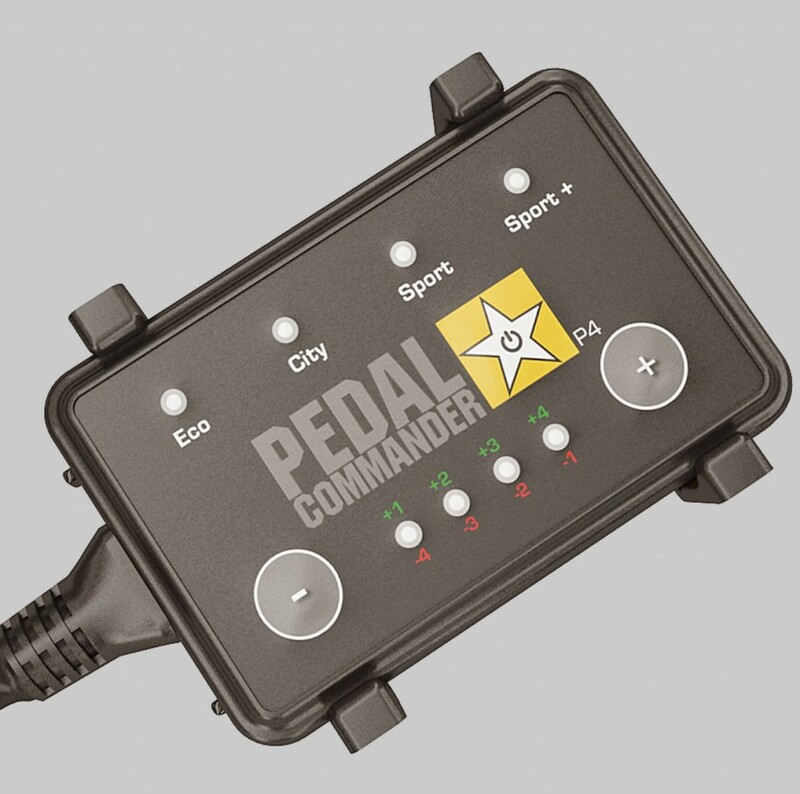 Click HERE to learn more about Pedal Commander, a leading throttle response controller manufacturer.